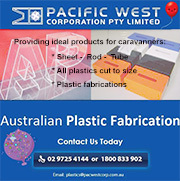 THE Australian Caravan Club's inaugural branch has celebrated its tenth anniversary. From humble beginnings at Caloundra's Golden Beach Caravan Park in Queensland, the ACC Sunshine Nomads group has flourished into one of the national club's most active. 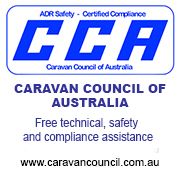 The group was, in fact, the predecessor of what turned out to be the Australian Caravan Club (ACC), which now boasts nearly 5000 members. Chairman Craig Humphrey, who lives at Golden Beach, explained: "A group of caravanners felt that existing RV clubs did not focus enough on protecting and representing the interests of owners of caravans." He said the national club had since grown and evolved to include the owners of pop-top caravans, motorhomes, slide-on campers, camper-trailers, campervans and fifth wheelers. "While our membership base has changed, our simple foundations have remained. Our focus now is to protect and represent the interests of all RVers. "As the first ACC branch to form, our club is extremely thankful to its members. "It would work to form a new branch to accommodate the growing size of the ACC. "Several of our club's South-East Queensland branches are as a consequence of the work of the ACC Sunshine Nomads." Mr Humphrey said that during the past decade, many of its members had made valuable contributions to the national club. Some had served as directors on the board and had been a driving force in membership recruitment, policy and club administration. "Congratulations and thank you to the members of the branch for the past 10 years," he said. ACC Sunshine Nomads branch president Chris Forrest said members were very proud of their contributions to the success that the ACC is today. 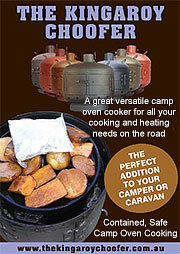 "Our branch enjoys the social aspects of caravanning. We are friendly, easy going and welcome new members. We have a muster approximately every six weeks at various venues. "In addition, we also have luncheons throughout the year which allows everyone to catch up even if they are unable to attend the musters. "The most memorable ones over the past 12 months were to the ABBA Festival at Trundle in New South Wales and the Tara Camel Races in South-West Queensland." 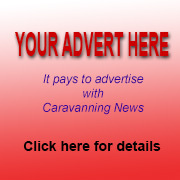 Mr Forrest said RVers living in the Sunshine Coast region wanting to join the ACC Sunshine Nomads branch could contact branch secretary Brian Hodgson by email.